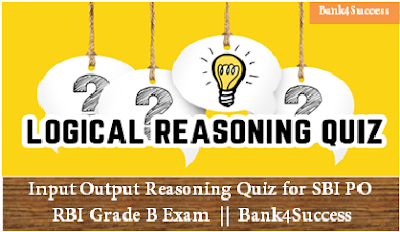 Input Output Reasoning Quiz for SBI PO/ RBI Grade B Exam.Today we are sharing the Machine Input Output Questions which is Most Important for Upcoming SBI PO exam as well as RBI Grade B, IBPS Exam which is going to released soon. Practice these questions to get Understanding about Machine Input Output topic. Today we are sharing the Machine Input Output Questions which is Most Important for Upcoming SBI PO exam as well as RBI Grade B, IBPS Exam which is going to released soon. Practice these questions to get Understanding about Machine Input Output topic. Following are some High Level machine input output reasoning questions with answers which are likely to be asked/ already asked in competitive exams. Following High Level Input Output Reasoning Questions solutions will help you securing good marks in upcoming SBI PO, SBI Clerk, IBPS PO­ VIII, IBPS Clerk­, IBPS RRB Exams, RBI Assistant. Directions (Q. 1-7): Study the following information carefully to answer the questions given below. 1. If following is the fifth step of an input, what will be the third step ? 2. How many steps will be required for getting the final output for the following input ? 3. Which of the following will be the third step for the following input ? 4. If the second step for an input is as given below, what will be the fifth step for the same input? 5. What will be the Step II for the following input? 6. What will be the last step for the following input? 7. What will be the step III for the following input? 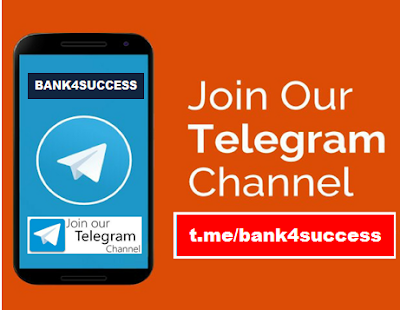 These steps are repeated alternately till all the numbers get arranged in ascending order and that will be the last step for that particular input.